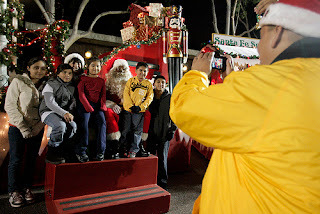 The city of Santa Fe Springs is having their annual tree lighting event this Saturday, December 4, 5-8 pm on Town Center Green, located on the corner of Telegraph Rd and Pioneer Blvd. In the past I've taken my kids to this event and it's really fun! There are lots of local performances from vocal and band groups from the schools, craft events, and a photo with Santa opportunity for only $2! There are local vendors selling homemade crafts, they may have a snow hill for the kids to play on, and I think there is also a special North Pole mailbox so have the kids bring their letters to Santa just in case, they can put them in the box or hand deliver them in person. 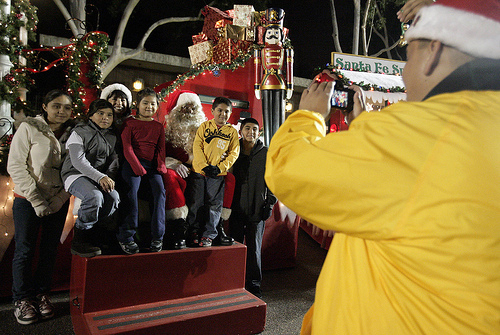 The Santa Fe Springs tree lighting event isn't as crowded as retail-type tree lighting ceremonies. It's a really nice local community gathering. Bring the stroller, bundle up the kids and enjoy the performances and tree lighting ceremony!